Mr. Davenport is one of the founders of the firm. In 1986, he and Mr. Figari left Johnson & Swanson, then one of Dallas’ largest law firms, where they were senior litigation partners. Mr. Davenport wanted to form a top-notch “boutique” commercial litigation firm rivaling the commercial litigation sections of the larger established firms, but with less structure and politics and more energy, enthusiasm, and humor. His belief that dedicated and gifted lawyers with high energy levels and compatible personalities in a smaller environment could successfully compete in the fast lane of commercial litigation with the larger firms (and have fun doing it) has proven correct over the last 25 years. Mr. Davenport has significant trial experience, having handled thousands of cases and tried over 150 through verdict in state and federal courts, both in Texas and throughout the United States. He is one of the lead trial lawyers for several of the nation’s largest title insurers, with much of his recent attention focused on defending those companies in cases involving wide-spread mortgage loan fraud schemes orchestrated by third parties. 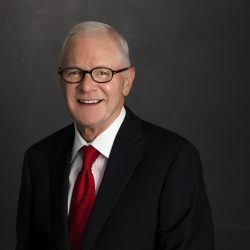 He also serves as one of the lead trial lawyers for many of the nation's largest life and disability insurers, defending select high-end cases and the bad faith claims that always accompany them. Central to Mr. Davenport’s success in defending his clients are his insistence on understanding their business and legal objectives and his direct, no-nonsense approach to dispute resolution. He generally develops a good rapport with opposing counsel, even in difficult cases, and believes in taking the “high road” in his professional conduct, which has contributed not only to his success but also that of the firm. Mark Davenport was lead counsel representing Coach Don Nelson in his suit to recover $6.5 million in earned deferred compensation, which the Mavericks refused to pay him when he accepted a job as the coach of the Golden State Warriors. After Nelson initiated the arbitration proceedings, the Mavericks filed a counterclaim asserting that Nelson had used “trade secrets” of the Mavericks when the Warriors defeated them in the 2006 playoffs. Mr. Davenport tried the arbitration proceeding, resulting in an award of over $7 million in damages, fees, and costs on September 11, 2008. A defense verdict in a federal jury trial in Houston in a multi-million dollar suit by the largest general agent of a major insurance company, which terminated the agent when it demutualized and became a stock company. A favorable settlement in a complex case in federal court in Brownsville involving a real estate developer’s attempts to develop a world class marina on a peninsula underlying the Old Queen Isabella Causeway connecting Padre Island to the Texas mainland. The development ran afoul because the U.S. Corps of Engineers had the right to dump spoilage on the property dredged from the Intracoastal Canal. A favorable decision in federal court in Corpus Christi on claims by heirs of persons alleging rights to “lots” on Mustang Island off the Texas coast obtained from fictitious plats prepared and recorded in the late nineteenth century. A successful settlement of a derivative action in state court in Dallas, in which Mr. Davenport represented the directors of the Las Colinas Association against claims that it sold its cable television underground hardware for less than fair consideration. A defense verdict in a West Texas state court for an insurer who issued a large life insurance policy on a bank owner who, while under investigation by the FDIC for bank fraud, died in a mysterious private plane crash shortly before his bank was to be closed; he had amassed millions in coverage from different companies through misrepresentations. The jury found fraud and rescinded the policy.